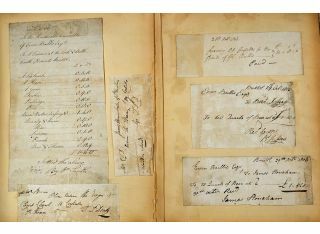 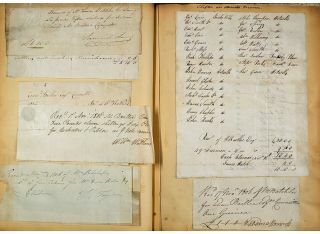 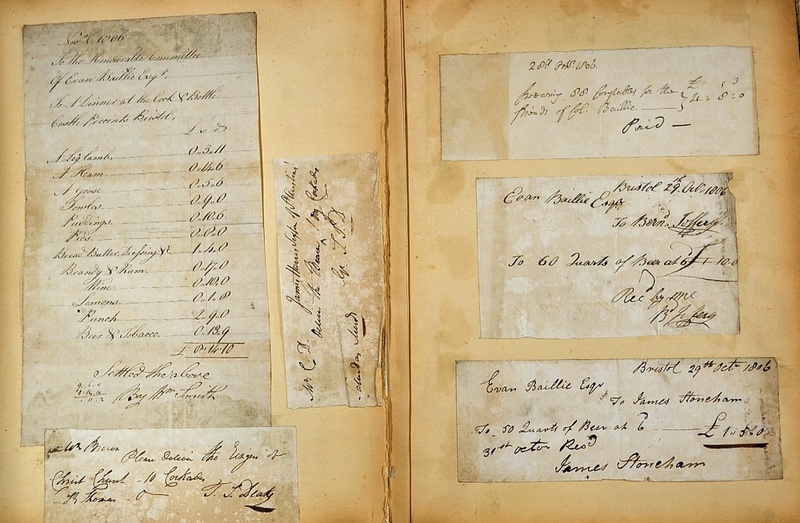 Bristol Elections – album of original manuscript accounts and vouchers of Evan Baillie in relation to the Bristol Election of 1806 - approximately 80 mounted receipts. 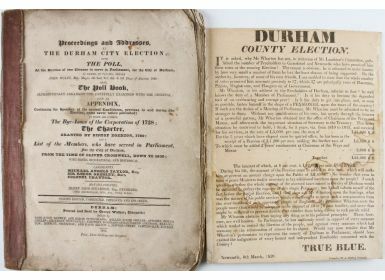 Evan Baillie (1741-1835) was a British West Indies merchant, landowner and Whig politician who sat in the House of Commons from 1802-1812. 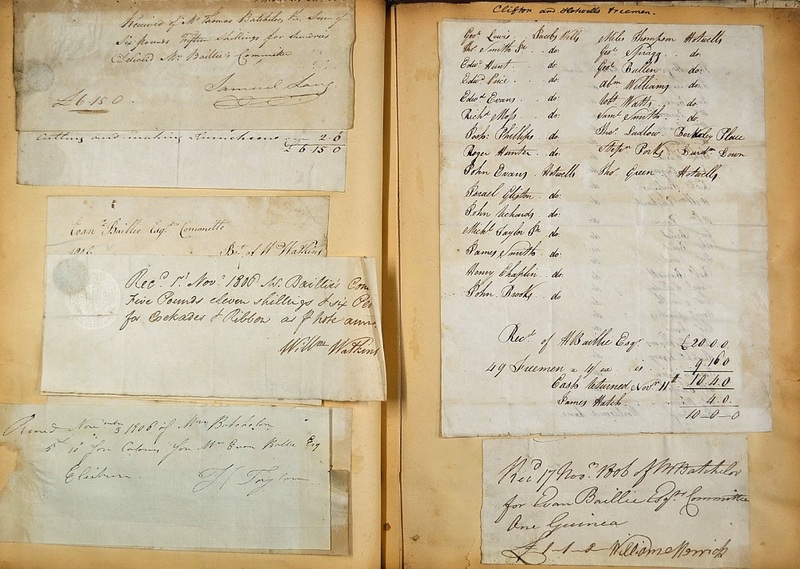 An interesting record of the expenses incurred by Evan Baillie and his Election Committee, including receipts for 30 men’s hats, 50 quarts of Beer, plus printing expenses, bound in at the end is a broadside advertisement for ‘Theatre Republique’ Talbot Tavern. 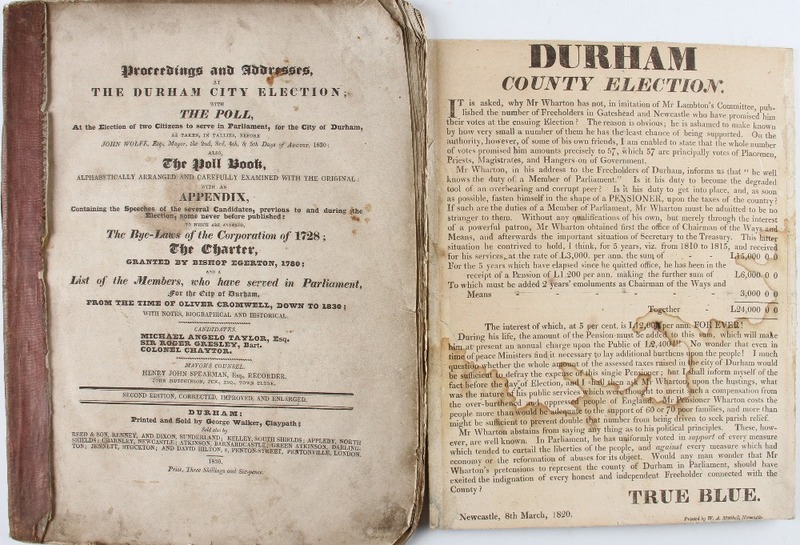 For the benefit of citizen Hunt…The Banditti…9th July 1812.